Jimmy Jib rentals NYC — JIBS NEW YORK CITY, LLC. 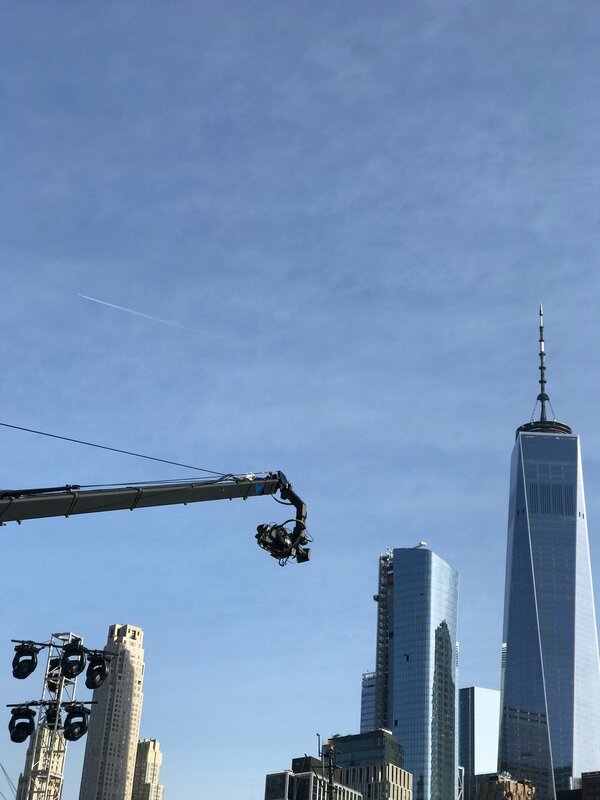 Whether you need jimmy jibs for a concert at one of the many live music venues in NYC or for a TV shoot in New York City, Jibs NYC, LLC has the right jib configuration and jib operators to offer you. We afford 7 Jimmy Jib rentals with first-rate, HD-powered jib remote film And video camera heads. Our rental house is also proud to be one of the leading east coast providers of Techno-Jibs, which is mostly only available on the west coast for nearly a decade. Apart from giving camera support platform, we also combine it with premium custom upgrades, which boost the standard jib models. These upgrades Afford extreme stability in the platform itself and add internally run 4k HD video lines and internally run 110 power features. We Also provide elaborate camera support for the larger HD or film camera bodies, such as the Arri Alexa, Red Epics, Arri 535, 435 and Panavision. Our services include jib camera support provision for their zoom, focus, iris, and start/ stop needs. For broadcast video production shoots, Jibs NYC, LLC rentals is the leading provider of broadcast multi-camera and single DP camera rentals. Additionally, we afford custom HD-equipped jibs, which have up to 5 HD BNCS with signal that speeds up to 4.5 gigahertz, and a form monitor accessory that guarantees an incredible accuracy during production. Jibs NY, LLC rental and engineering services cater to an extensive array of clients. For the past 10 years, we have worked with numerous reality and national television shows, commercials and infomercials, reunion shows, motion pictures, documentAry showcAses, live performAnces, And music videos in New York City (NYC) and other surrounding cities. In addition, our rental house have been providing support to various theatrical productions, comedy shows, fashion runway, and sports and exercise videos. Our jib rental rates, along with the services of our jib operators, are flexible and can accommodate almost any budget.